GENEVA - During the week of May 23-30 alone, an average of five migrants an hour downed in the Mediterranean Sea as they tried to flee to Europe. An analysis by the Euro-Mediterranean Human Rights Monitor shows that at least 80 boats, including 70 made only of rubber, attempted or made the journey—an increase of 60 percent over the previous week. Three of the boats capsized, and an estimated 800 migrants died before reaching their destination. Since the beginning of 2016, more than 46,000 people managed to reach the Italian coast after disembarking from Libya, and another 1,400 drowned. On April 26, nearly 500 migrants from Africa and the Middle East drowned after their boat departed Egypt for Italy. It capsized somewhere between Libya and Italy. The incidents during the week of May 23 were markedly more serious. 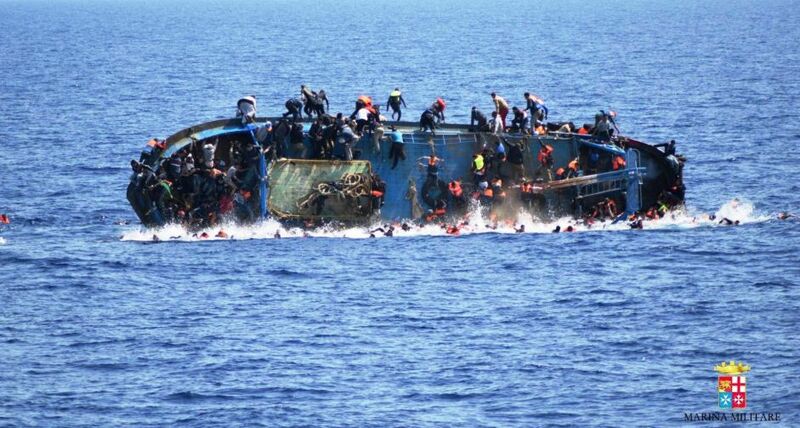 The first occurred on Wednesday, May 25, when a boat carrying about 650 people, most of them women and children, capsized just 65 km from the Libyan coast. Many of the passengers are still missing, but it is assumed more than 500 died. A second incident occurred that Thursday and a third that Friday. About 14,000 of the total passengers were rescued; the remaining are presumed dead. Most of the boats launched from Libya’s village of Sabratha. Most migrants appeared to start their journey from Mitiga Airport in the Libyan capital of Tripoli, which is controlled by the Fajir militias. The deteriorating security situation in Libya and the chaos in surrounding countries has aided the smuggling networks, which trade in human beings and exploit destitution.